Jonas & The Massive Attraction are thrilled to announce they have just been confirmed to support legendary British rockers DEEP PURPLE on the Western leg of their Canadian tour, February 15 – 21, 2012. The band is rockin’ the West in support of their latest album “Big Slice”, featuring the hit singles “Big Slice”, “Seize The Day” and their new single “Addiction”, that was remixed by Mike Fraser (AC/DC, Metallica). 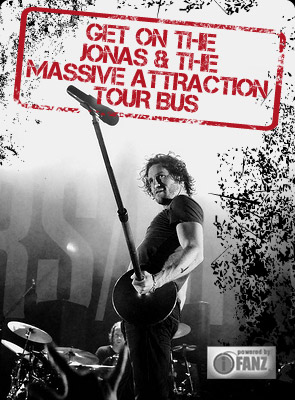 Jonas & The Massive Attraction will drop their BRAND NEW acoustic album “Unplugged” on-line and to retail stores across Canada on February 14, 2012, just prior to the start of the tour.